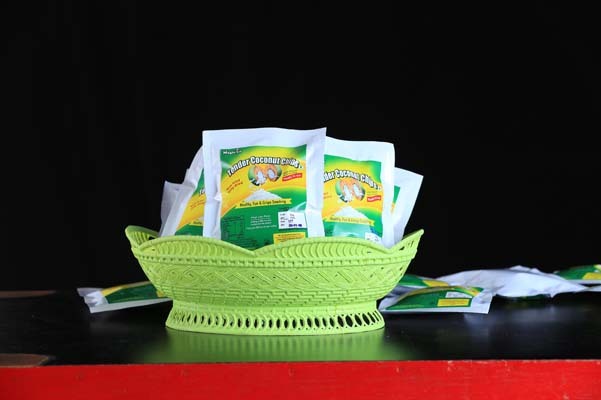 Coconut chips are made from selected coconuts harvested at right stage to provide the best the nature holds with it. They are as sparkling white as the fresh kernel of a split-opened coconut and are osmotic dehydrated to provide the crispiness. It is prepared with atmost care, matching with the international standards. A specially designed electric dryer is used to retain the aroma, whiteness and purity while drying. 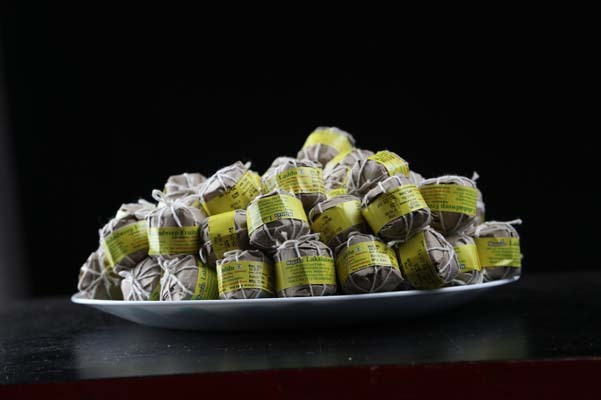 The product is reaching you in an exclusively designed packaging for a long period of shelf life. Leaving the false fears of the past, cococnut is now consumed globally for its therapeutic attributes. It is rich source of lauric acid that enchances immunity. Immerse in water for a while and grind to make butter soft coconut paste. 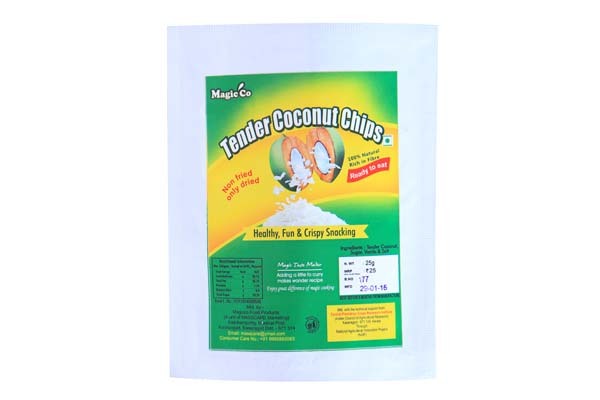 Perfect for baking, cooking, granola or any other item that requires coconut. 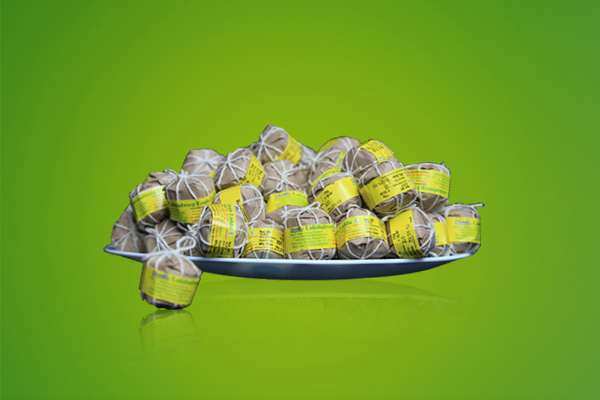 Magicco Lakshadweep Fruits Laddu is not only a fruits laddu but also a healthy food supplement. 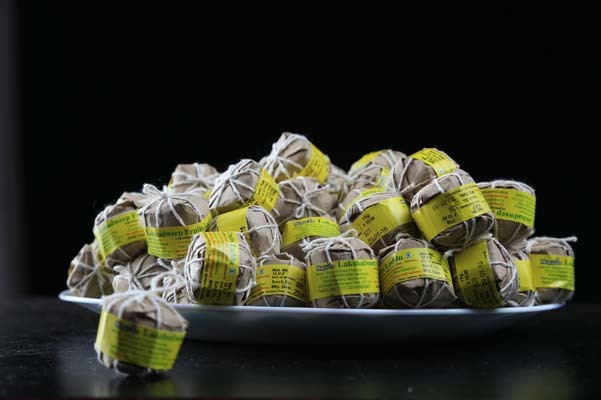 Its ingredients are dates, coconut, cashew nuts, cardamom, ghee and jaggary. 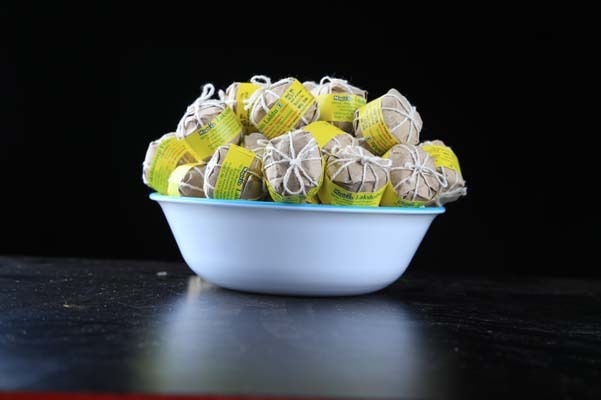 The time taken to prepare the laddu is nearly 7 hours in the uruly and the ingredients make it as a healthy food supplement. It helps digestion, replenishes energy and increases immunity power.It is rich in Dietary Fiber, Vitamins,Minerals and an excellent source of Iron. By its continuous intake a person can feel his body becomes more healthy, helps his digestion and improves the immunity power. 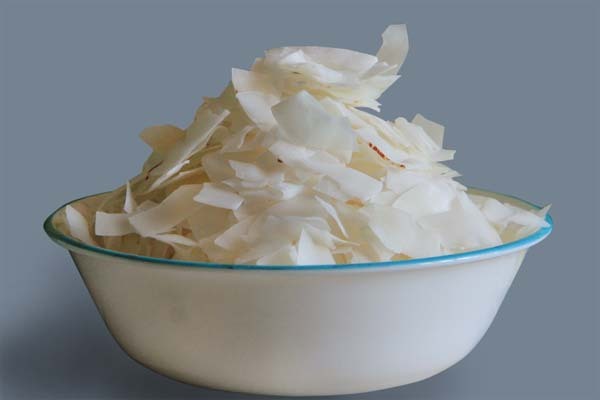 Virgin Coconut Oil is obtained from fresh, mature endosperm ( kernel – meat) of the coconut by mechanical or natural means with or without use of heat, no chemical refining bleaching or deodorizing and maintain the natural aroma and nutrients. It is called “Virgin” because the oil obtained is pure. 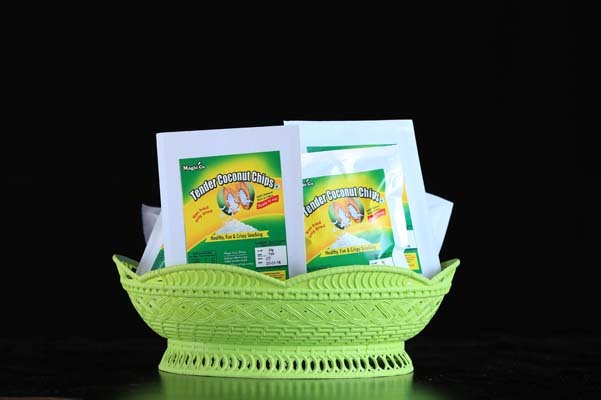 Virgin coconut oil is suitable for human consumption in its natural form. It is the purest form of coconut oil,crystal clear contains natural vitamin E and with a very low, free fatty acid content. ( 0.1%). Lauric acid is found to be contained in plenty (50%). 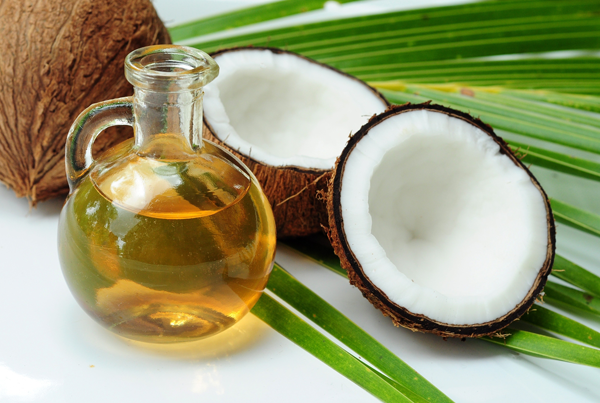 As lauric acid is found in mother`s milk, Virgin Coconut oil is considered to be in equivalent with the mother`s milk. 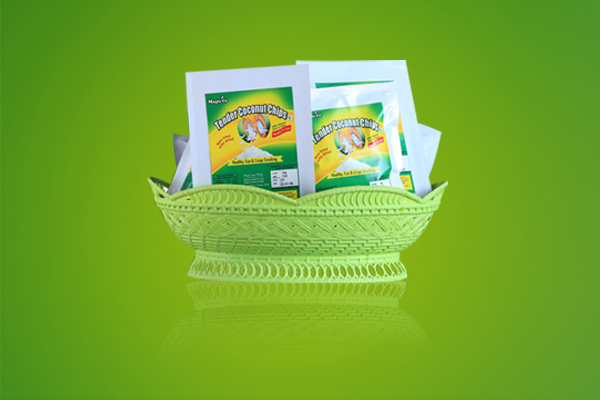 Provides protection from infectious diseases not easily cured by known antibiotics. 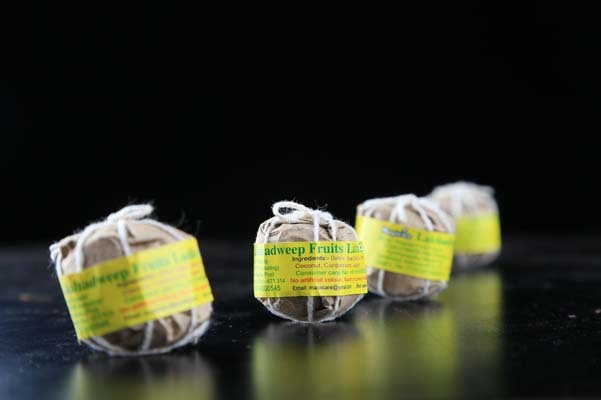 Prevents dark circles, allergies, itching,scabies and very good for health and protection of skin. It is a rich source of minerals, vitamins and anti-oxidants. Magicco massaging oil is the unique combination of herbals with virgin coconut oil.It is very good for the protection of skin of all age groups. 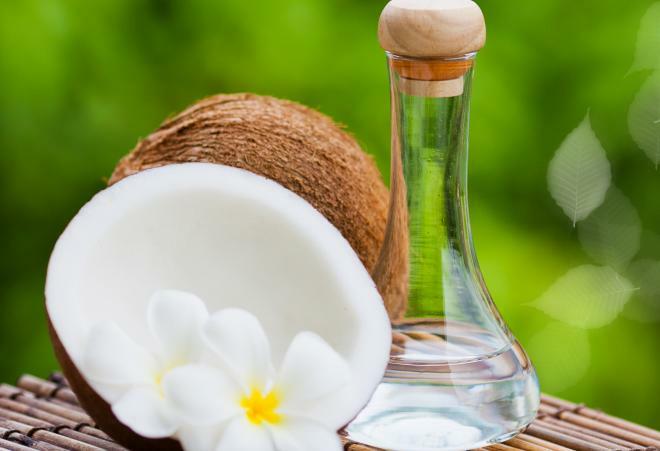 The herbals used in the virgin coconut oil make the magicco massaging oil very effective and protects the skin from different types of infection and stimulates the skin.The continuous usage of Magicco Massaging oil makes the skin soft, shiny and smooth.